Do you regularly clean your dog’s ears? Should you? I’ve cleaned Teton’s ears since we first got him at 8 weeks old. Mind you, I only clean them once a month (after bath time) or unless the little dude is showing signs of irritation or excessive itching. He doesn’t like having his ears cleaned but he’s a good sport. Teton’s ears have been cleaned with a handful of ear cleaning products ranging from generic pet store potions to fancy schmancy sprays and wipes. Wipes are generally the easiest but also the most expensive. Sprays completely freak him out (I wouldn’t really want something sprayed in my ears either, to be honest). That leaves liquids that can be applied to cotton balls or cloths, which seems to be the lesser of the evils (to Teton at least). Regardless of whether your dog has had a history of ear infections, ear cleanliness is just as important for your dog as it is for you. Because of the twisty, curvy design of a dog’s inner ears, it’s easy for parasites, bacteria and yeast to hide and thrive in them. This also means that any debris in the canal must work its way up to escape. Infections can result from trapped debris. Dogs with allergies are particularly vulnerable, as are those with floppy ears, like Cocker spaniels, basset hounds and poodles. If your dog’s inner ears appear dirty, clean them with a cotton ball dampened with mineral oil, hydrogen peroxide or a solution formulated specifically for this purpose. Inner-ear skin is delicate, so allow your vet to demonstrate the proper method for cleaning your dog’s ears. Do not clean your dog’s ears so frequently or deeply as to cause irritation, and take care to NEVER insert anything into your dog’s ear canal. If your dog sprouts hair from his ear canal, you or your groomer may have to tweeze it out every few weeks to prevent problematic mats and tangles from forming. Please discuss with your vet whether this is necessary for your dog. OmegaPet contacted me a few weeks ago and asked if I’d like to try a sample of their Dog Ear Cleaner. I always research products before saying “Yes!” and was happy with what I discovered when I looked into OmegaPet’s ear cleaner. In addition to a great ingredient list, OmegaPet’s Dog Ear Cleaner is backed by OmegaPet’s 60-day guarantee, so they stand firm behind the quality of their product. 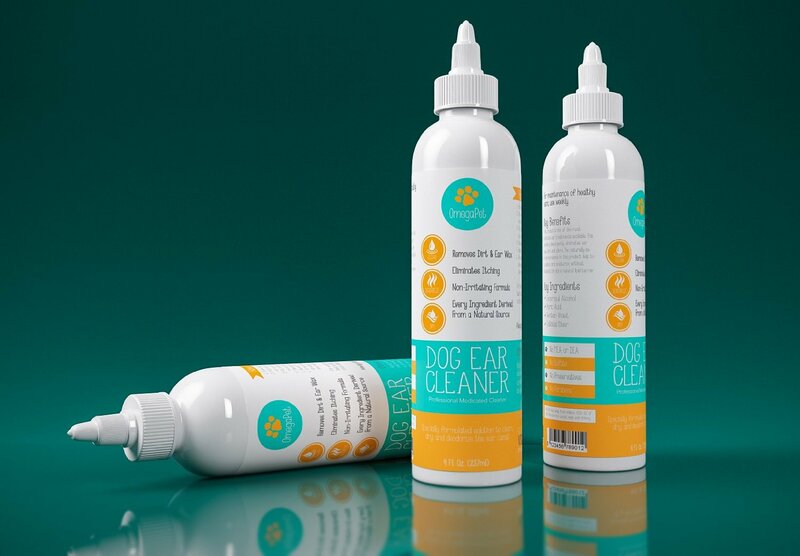 The Dog Ear Cleaner is insanely simple to use. 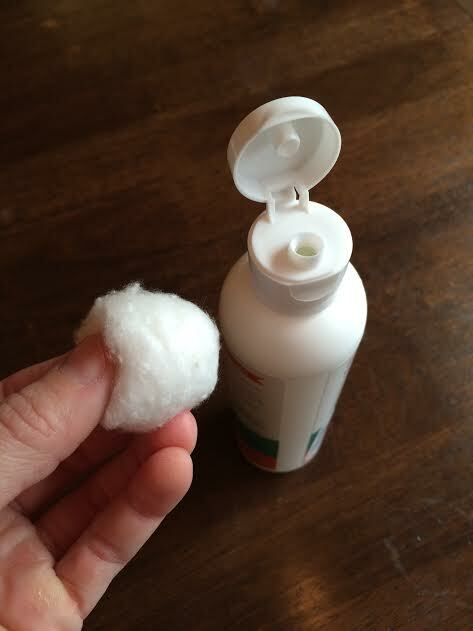 While you can squirt the liquid directly into your dog’s ears and soak it up with a cotton ball or cloth, I’ve found that doing this freaks Teton out so instead I put the solution on a cotton ball and clean his ears with that way. It works really well and takes just a few seconds. Teton’s ears were super clean this time around so I don’t have a nasty, gag-inducing photo to share with you, but if you’ve ever cleaned that dark brown gunk out of your dog’s ears you know that a good ear cleaning product can be invaluable. 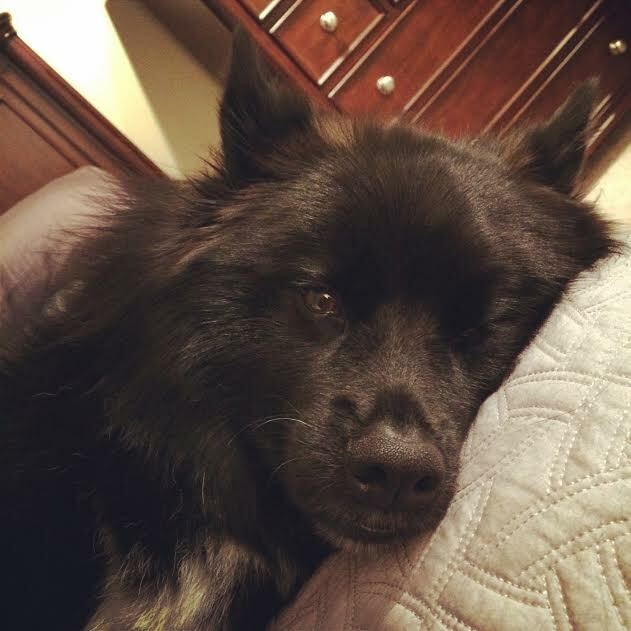 OmegaPet was generous enough to offer Her Dog Blog readers a coupon so that you can see for yourself how easy and beneficial it is to clean your dog’s ears. To order a bottle of their Dog Ear Cleaner, go to their page on Amazon.com and when prompted at checkout to enter a coupon code, type in HERDOG21. Thanks for the ear cleaner, OmegePet! Teton is going to have the cleanest ears on the block. Posted on October 3, 2014 October 3, 2014 by Shannon	This entry was posted in Medicine Cabinet, This 'N' That. Bookmark the permalink.